An atmosphere of uncertainty looms at Ngong, quarter of Njap, a piece of land under dispute between Njap (Nkambe Central) and Kamine (Misajeb Sub Division) following the presence of a beast that has created panic. Reports say a strange beast, (buffalo) has taken over Ngong chasing away the inhabitants of neigbouring quarters, grazers and farmers. It is alleged attempts by some hunters and law enforcement elements to kill the buffalo ended up in frustration as the beast resisted and became more furious in attacking people. Allegedly, the buffalo attacked and chased away those who came armed with guns to kill it. According to a hint, the beast has been parading the borderlines between Kamine and Njap. A school of thought holds that it is the spirit of Fai Ndingaseh who was assasinated by unknown gun men that has resurfaced to take over his ancestral land. It is even alleged that ever since the administration of Donga Mantung placed an injuction on the funeral of the late Fai Ndiganseh, some strange beasts have always been spotted around the secret place where he was laid to rest, mostly during the night. Unconfirmed sources talk of a lion and tiger. Matters came to a head when the buffalo surfaced around his compound and attacked the homes of some grazers. The grazers we gathered have been scared by the presence of the buffalo. This incident we gathered is happening when the Senior Divisional Officer for Donga Mantung is trying to put in place a land dispute commission to investigate into the issue after the administrative court nullified his decision attributing the administration of Ngong to Misaje for reasons of proximity. One of the speakers who caught public attention during that historic visit was the fon of Kup. In his speech, he presented some pertinent problems which were rechoed by the zonal chairman. The fon of Kup decried the fact that there is no road linking the farmlands and village which continue to result to postharvest loses and wastage. He said the population decided to construct a temporary bridge but its not solid enough for vehicles to use it. This bridge he added also links them with Lassin and there is a large community of their people living there. He presented the problem of thr Kup community nursery school which has not been absurb by government though otgers created after them have all been taken over. He told the population that Hon. Awudu is Member of Parliament for all not only for the CPDM. Emerging reports reveal that some conflicting details in the second 2016 national budget proposal presented before the national assembly in comparison with the initial one led to its outright rejection. 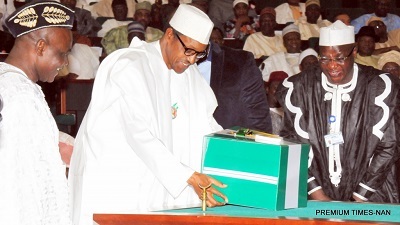 An alleged discovery of strange projects in the second version of the budget 2016 document brought by the presidency to the National Assembly was responsible for its rejection, the Senate declared yesterday, according to the Guardian News. The Senate Majority Leader, Mohammed Ali Ndume, who briefed journalists at the National Assembly, disclosed that the second budget document failed a series of integrity tests carried out on it by the Senate. He confirmed that the Senate President, Dr. Abubakar Bukola Saraki, would today unveil the contents of a letter sent to the upper legislative chamber by President Muhammadu Buhari. But Ndume refused to disclose the letter’s content. The Senate last Thursday rejected the replacement of the original version submitted to it by Buhari. Saraki, who announced the decision of the Senate to reject the second version of the budget, had said: “We have received the report of the Committee on Ethics, Privileges and Public Petitions on investigations surrounding 2016 Appropriation Bill. Our finding is that the Senior Special Assistant to the President on National Assembly Matters (Senate) Senator Ita Enang, printed copies of the 2016 Appropriation Bill and brought to the Senate. “We have discovered that what he brought is different from the version presented by Mr. President. We have resolved to consider only the version presented by Mr. President as soon as we receive a soft copy of the original document from the Executive,” he added. The surge of the spread of the Lassa fever propagated by a specie of rats has continued to gather momentum in Nigeria with several medical measures to cushion the epidemic. 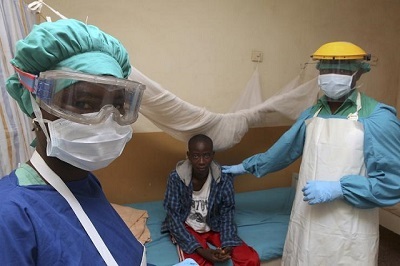 The Federal Government said on Tuesday that Lassa fever has claimed 63 lives out of 212 suspected reported from 62 local government areas in affected states. The Minister of Health, Prof. Isaac Adewole, confirmed this at the emergency National Council of Health meeting in Abuja on the outbreak of the disease. Adewole listed the 17 affected states as Bauchi, Niger, Taraba, Kano, Rivers, Oyo, Ondo, Edo, Plateau, Gombe, Nasarawa, Lagos, Delta, Ekiti, Ebonyi, Zamfara and Kogi as well as the FCT. He said there is high level of denial and conspiracy across some states, adding that health managers should not deceive executives by the pretence and silence. The Minister described the denial of Ebonyi to report five suspected cases and one death as conspiracy of denial. He said every state should consider itself at risk and put measures to contain and prevent the disease. Adewole said the federal government would maintain high level of alert all year round to celebrate Lassa fever obituary next year. “With the resources available we will collectively eliminate the disease in Nigeria soon. “We have special facilities around us and we have adequate human resource to address the challenge. “We will strengthen the Primary Health Care Centres across the country to enhance the surveillance mechanism,’’ he said. The minister said 5,000 Primary Health Care centres would be activated before the end of 2016. 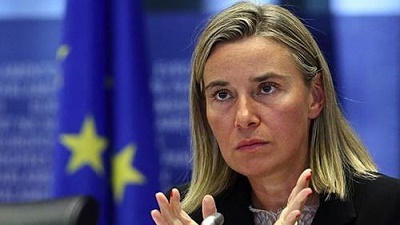 The European Union High Representative has finally replied pro-biafra agitators and Organization of Emerging African States on the condition for supporting the emergence of Biafra. To achieve a referendum, the OEAS advises all nonviolent means should be utilized including general strikes, economic boycotts, work actions, demonstrations, lawsuits, and civil disobedience. Nigeria is a member of The International Labour Organization (ILO). The ILO recognizes the right to engage in general strikes and the right to strike is also recognized in the International Covenant on Economic, Social and Cultural Rights of 1966 (Article 8(1)(d)). The worries concerning the spread of Lassa fever in Nigeria has hit Lagos following the shocking confirmation of an infected patient today, 16th of January. The Lagos University Teaching Hospital (LUTH), Idi-Araba, Lagos has confirmed the first case of Lassa fever in Lagos State. According to the Chairman, Medical Advisory Committee (CMAC), Dr. Olufemi Fasanmade, the patient is isolated at the Accident and Emergency (A&E) unit of the hospital. The NUC has released the list of the best Federal University in Nigeria as well as that of the private schools. University of Jos (UNIJOS) has been named as one of the best among second generation Universities in the country in 2015 ranking of the Nigerian Universities Commission (NUC), according to The Nation. NUC named the University of Ibadan in overall first position while Covenant University was rated as the best private University in Nigeria. Similarly, a student of UNIJOS bagged First Class among his peers in the November 2015 Bar Final Examination of Nigerian Law School, Bwari, Abuja. The student, Okwor Keneth Ononeze was among the 2013/2014 graduates of the university. Secretary to the Council and Director of Administration, Council of Legal Education, Mrs Max-Uba conveyed this through a letter of commendation to the university, addressed to the Vice-Chancellor, Prof Hayward Mafuyai. Mafuyai described the ranking as clear recognition of the enormous work being done in the university. “It was encouraging that the university was being appreciated for the impact it is creating towards human capital development in the country, noting that the ranking was consistent with the University’s global rating. “If not for some challenges, the University could have achieved greater success. I enjoin all stakeholders to rally round towards ensuring that the University achieves its full potential,” he said. North West Elite(s) meeting in Yaounde have decided that HRH Senator Fon Teche, the outgoing President of the North West Fons Union-NOWEFU must organize an elective General Assembly so as to hand over the leadership with immediate effect. The Eye gathered that North West elite(s) mostly high profile personalities in government took that decision last week in a stormy meeting. The elite also called on the outgoing President of NOWEFU to facilitate the adoption of a new constitution. They decried the fact that the one-time biggest lobbying group that is wallowing in the gutter. Prime Minister Philemon Yang, The Eye is aware was very bitter that a one-time enviable association has been transformed into a sinkhole by its present leadership. According to the hint, PM Yang gave just two months for NOWEFU outgoing President to organize the elective general assembly. It should be recalled that Fon Teche’s mandate expired in March 2015 reasons why PM Yang is quoted to have given firm instructions to that effect. Donga Mantung Division was expected to produce the next President of NOWEFU yet matters came to a head when the Fon Chafah in his capacity as founding member took the matter to court. Last December, the Mezam High Court ruled that the outgoing President should organize an Annual General Assembly to adopt a new constitution as well as hand power. Yet HRH Fon Teche has been mute. Allegedly, the court ruling even gave him the leeway to remain in power up to 2018. Public opinion in the North West Region has saluted the fact that Prime Minister, Philemon Yang as well as North West elite in Yaounde have decided to put an end to the precarious crisis in NOWEFU. 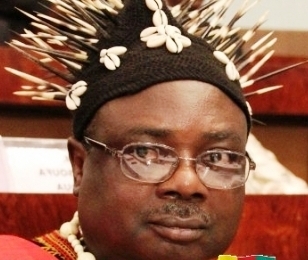 Worthy to note that Fon Teche Njei who is Fon of Ngyen-Muwa village in Momo Division, and Senator, was elected President of NOWEFU on March 16, 2012. After serving his three years term as spelt out in the Union’s constitution, Teche’s mandate expired on March 16, 2015. His reluctance to convene an elective general assembly after the expiration of his mandate is the reason behind Chafah’s warning. The situation has left many to conclude that there is a power vacuum at the helm of NOWEFU.